Nothing substitutes going to a language school or taking private lessons, but if you’re serious about learning Hungarian it’s important that you find ways to build it into every part of your life. Use the resources below and you should be able to find interesting ways to practice what you learn. If we’ve missed something then please tell us so we can add it. You can email us at: info@weareteacherfinder.com or find us on Facebook. Unfortunately Hungarian is not nearly as written about as English when it comes to learning the language, but hunt around and there are still a few great websites that can help you with Hungarian grammar, vocabulary and phonetics. > Hungarian Reference – A thorough and simple to follow guide to Hungarian grammar with some additional articles on the alphabet, pronunciation and a few phrases for good measure. > Let’s Learn Hungarian – Lots of easy-listening podcast lessons to help you navigate everyday situations in Hungary. > Hungarian 101 – More grammar and vocabulary guides alongside some more interesting stuff like information on the history of the Hungarian language, a list of the 1,000 most popular words and links to watch Hungarian TV and listen to the radio. Self study is important and free websites will only take you so far. Get yourself a Hungarian study book and push yourself to read a little bit each day. 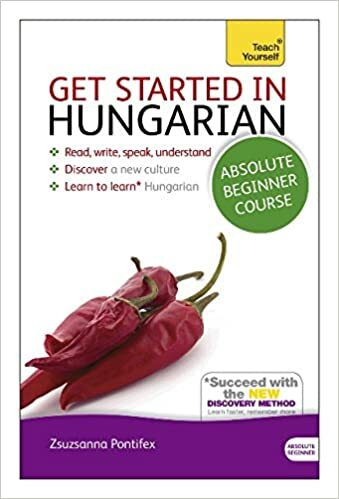 > Teach Yourself Hungarian (by Zsuzsa Pontifex) – A good start for anyone that is new to learning languages. It takes you on a progressive journey through the Hungarian language and doesn’t overload you with grammar too quickly. It also includes an audio CD to help you with your speaking and listening skills. 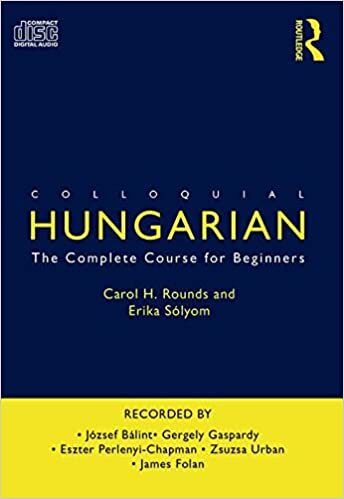 > Colloquial Hungarian (by Carol Rounds & Erika Solyom) – A great textbook for anyone serious about Hungarian. It includes in-depth lessons that cover grammar and vocabulary in practical, useful ways. Like other textbooks it also includes an audio CD so you can hear the language in action. > MagyarOK (by Szilvia Szita & Kata Pelcz) – A well-structured language course book for those that want to progress quickly. The focus is on giving you the grammar and vocabulary skills you need to handle real life situations from the start. It also gives you plenty of chances to practice your reading, writing and listening. Buy this book on their website. You’ll never progress if you don’t take the chance to practice what you learn. Going to a language meetup is a great opportunity to start interacting with native Hungarian speakers and other learners in an informal environment. > Budapest Language Exchange & Friends – They host regular meetups, some for practicing Hungarian, some for English and others for French, German, Italian etc. Taking place in a bar, the emphasis is just as much on making friends as it is on improving your language skills. > Polyglot Club Budapest – Held every Thursday, this is a great meetup for those that want to take language exchanges more seriously. It attracts 30+ people every week and you’ll have the chance to mix with and talk to plenty of people over the course of the evening. Participants are asked to make a small donation to cover costs. > Magyar Mondays – Run by Hungarian language school NovoSchool, each meetup addresses a different everyday situation and aims to give you the language skills you need to tackle it. Previous examples have included food, shopping and restaurant visits. It takes a long time to learn Hungarian. The US Foreign Services Institute rates the difficulty of each language for a native English speaker to learn. Hungarian is in category IV, meaning it takes on average 44 weeks/1,100 hours to learn.